The new SECUMAX 145 is amazingly safe, astonishingly diverse and, weighing just 12g, surprisingly light. Don't wonder… try it now! Our premium squeeze-grip knife with more than 2 cm cutting depth and fully automatic blade retraction. Winner of the German Design Award 2016. Now with a new look. The SECUNORM MULTISAFE is a classic. Its refreshed design is accompanied by a number of real benefits for the user. Best in one of our three new BELT HOLSTERS S, M, and L. They fit perfectly, are robust and can be equipped flexibly. We are only satisfied when you are satisfied.That's why we attach the highest importance to offering tailor-made services. The safety techniques built into MARTOR safety knives include the hidden blade (SECUMAX = highest work protection), the fully automatic blade retraction (SECUPRO = very high work protection) and the automatic blade retraction (SECUNORM = high work protection). At the same time the ease of replacing the blade and the ergonomics of the knife handle also contribute to an increase in workplace safety as well as work efficiency. 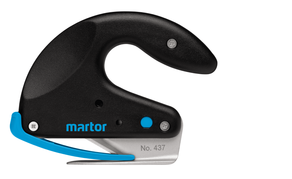 In order to ensure safe storage and safe transport of the safety knives and safety scissors, the utility knives and the special knives, we also recommend the three new BELT HOLSTERS by MARTOR. On-site consultation by MARTOR and a comprehensive range of media training available (e.g. 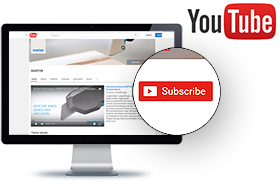 safety posters, product and training videos etc.) help with choosing the right products and the correct handling of them.